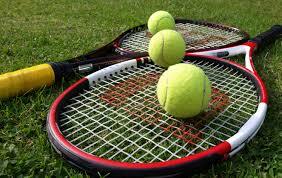 ISLAMABAD - Pakistan Tennis Federation (PTF) is holding two ITF International Junior Tennis Championships in collaboration with All India Tennis -ociation (AITA) and Asian Tennis Federation (ATF) at the neutral venue of New Delhi. The first tournament is scheduled from November 3-8 and second from November 10-15 at RK Khanna Tennis Stadium, New Delhi. Six boys and three girls from Pakistan are parti-ting in these tournaments and got entry in the main draw by getting wild cards. Pakistani players availed this opportunity and got international raking point by winning first round matches in the doubles event. Alina Qureshi won her first round match in main draw of girls' singles category. A total number of 134 players from across the world entered for the first tournament for the draw of 32 qualifying and main draw for boys and girls International Tennis Federation (ITF) nominated M Arif Qureshi as referee to officiate the first tournament whereas Shahzad Akhtar Alvi will act as referee for the second tournament. M Khalil Chughtai, nominated as tournament coordinator, for both the championships by the PTF, whereas Manpreet Kandhari from AITA is working as tournament director. M Mud-ar pairing with younger brother M Muzammil made the major upset in the boys’ doubles by beating third seed Shery Gupta and Yash Yadav (India) in a three set thriller. Shery Gupta and Yash won the first set easily at 6-1 by breaking first and fourth games. Pakistani pair then bounced back in the second set and won it 6-3 by breaking fourth and 10th games. In the super tiebreak, Pakistani pair pla- quality tennis and won the super tie break at 10-7 and qualified for the semifinal where they will face top seeds Vasisht Cheruku and Param Pun of India today (Thursday) at 1pm. Second Pakistani pair S- Nofil Kaleem and Arham Attique lost to second seeds Sai Nikhil Mannepalli and Saitejas Mopur in another good match of the day. The score was 6-3 and 6-2, super tiebreak 13-11. Rida Khalid of Pakistan paring with Samriti Paunyani of India made the major upset in the girls doubles event by eliminating second seed Isha Budwal and Srishti Slaria in three-set thrilling encounter. Rida/Paunyani won the first set 6-4 by breaking the seventh game of Slaria. Budwal and Slaria won the second set 6-2 by breaking fourth, sixth and eighth games of Rida and Paunyani. In the final super tie break, Rida and Paunyani pla- well and won it 10-7 and advanced to the semi final and will face third seed Akanksha A Bhan and Madumitha Pvrajan of India. The match will start at 1pm today (Thursday).